A grooming table is the first and most important grooming aid you buy when you start a pet grooming business. Choosing one that is good and caters to all your grooming needs is tough. Therefore, to make things easy for you, this DogAppy post has tips on how to choose a dog grooming table. If you are low on space or a mobile groomer, get a fold-up manual grooming table. Grooming tables are used more often for the convenience of the groomer, and not really for the dog, as these tables help in keeping backaches at bay. 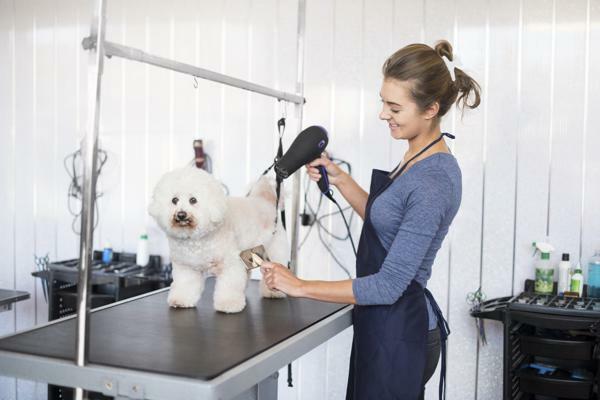 Covered in this write-up are methods on how to choose the right dog grooming table for you and your needs. 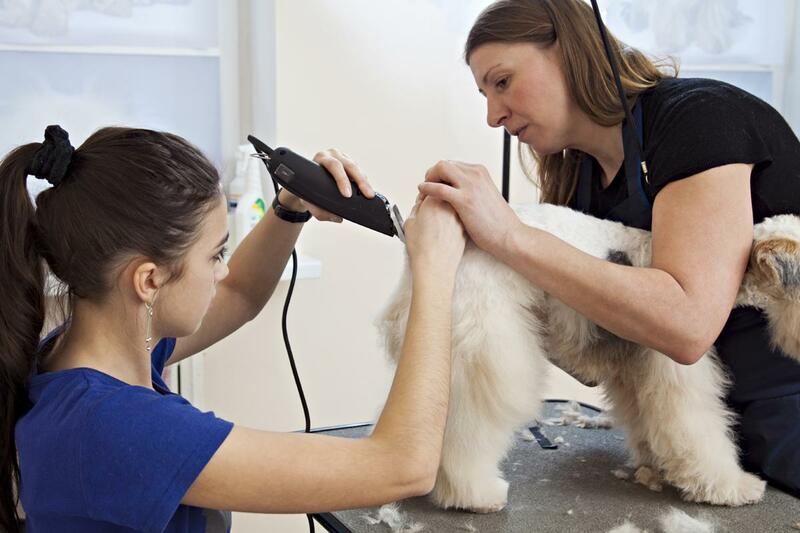 The grooming table should be of a height that is comfortable for the groomer so that he does not strain his back and neck while tending to the dog. The table should be of adjustable height for ease of access to the groomer. Having a table with an adjustable height is of convenience even to dogs that are old, heavy, or are uncomfortable with being carried. 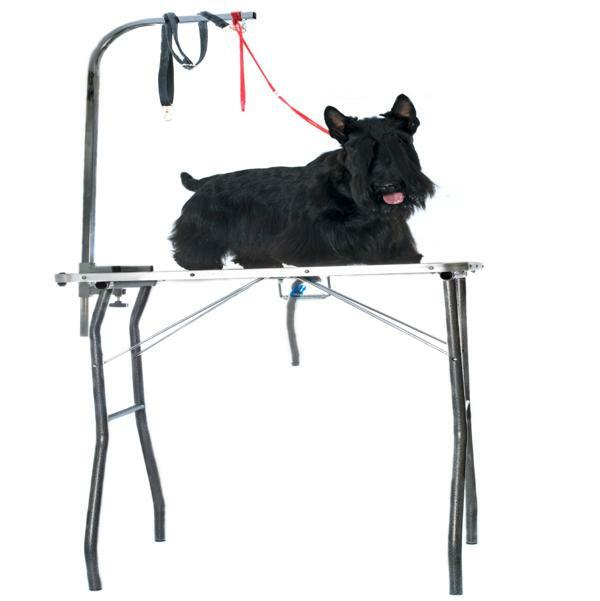 How this works is, the dog is placed on the tabletop at ground level, and then the surface is hoisted till the groomer is happy with the height. Selecting the type of grooming table that is best for you can be difficult. So, your first step towards choosing the perfect table should be chalking out your needs. 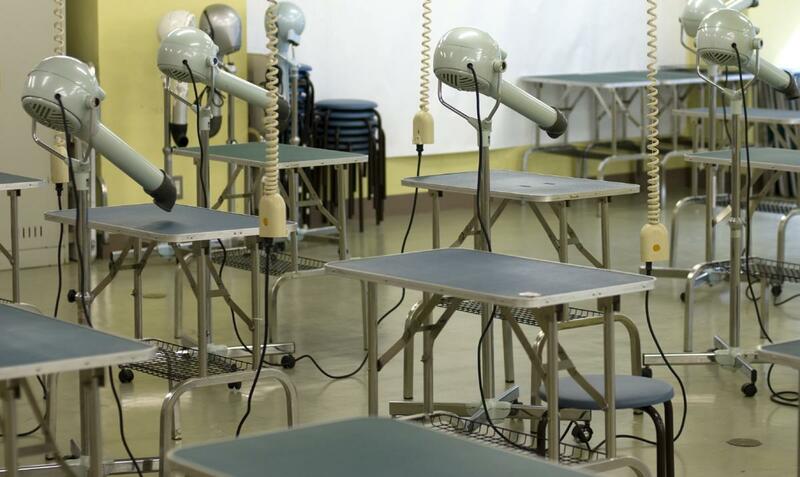 The basic types of grooming tables available in the market are portable and stationary tables. Under the category of portable tables, you have the fold-up type, which is mostly used by mobile groomers, or those who tend to their dogs from home. Stationary tables, like the hydraulic and electric tables, are ideal for those who have a salon or grooming center. Electric tables have a switch-control, which makes it easy for you to adjust the height of the table, and a hydraulic table has a pedal, which you need to step on for the tabletop to rise and descend. All grooming tables come with additional features that you can opt for. Rotating tabletops are available for most tables, but if you are on a budget, it is one added feature that can be done without. One feature that is very helpful is an under light, that helps while trimming nails or underbelly fur of your dog, by illuminating the tabletop for you to see hard-to-reach areas clearly. All added features cost extra, so if you are on a tight budget, you can always buy a minimalist table for the time being, and add the features later. 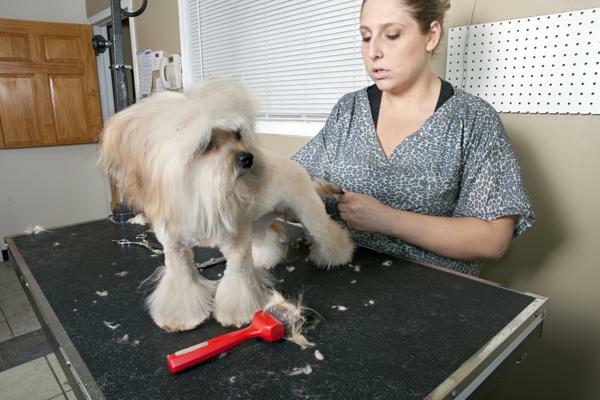 Safety is the main concern for all dog owners and groomers. 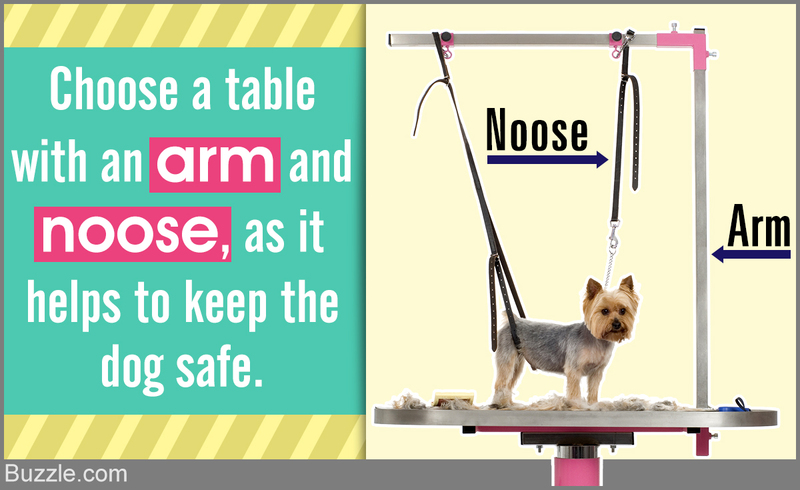 So, you need to choose a table that has a good grip on the surface so that the dog does not slip or injure himself. Also, if you are choosing a stationary table, then the legs of the table have to be sturdy and strong enough to hold the weight of the dog. If you are choosing an electric table, then you have to be extra careful to keep all wires sealed and out of reach of the dog you are tending to. The noose and arm should not be flimsy, and should sustain well if your dog likes to pull or move a lot when you are attending to him. A grooming table is a one-time investment. So, it has to be durable. The table should be made of durable material, like stainless steel, wood, or something equally long-lasting. There are some models available made from particle wood, but they do not last as long. The table you choose should suit your needs. If you are a mobile groomer, the best choice for you is a collapsible table that can be folded and moved in a car or van with ease. If you are buying a table for stationary use, then hydraulic or electric tables with an arm and noose are the best choice. Stationary tables are, by far, the most inexpensive. So, if you are on a budget, then choosing this type of table makes sense. Just remember to buy one with an arm and noose attached to it, as buying these parts separately will work out to be more expensive. Electric tables are the most expensive of the lot, but if you want one that is adjustable and you want to save some money, then going in for a hydraulic table is a very good option. Hydraulic tables work in the same way as electric ones, but are not as expensive. If you are buying a used dog grooming table, then you need to buy one in top-notch condition. Check its safety, convenience, and all its parts before making your purchase. 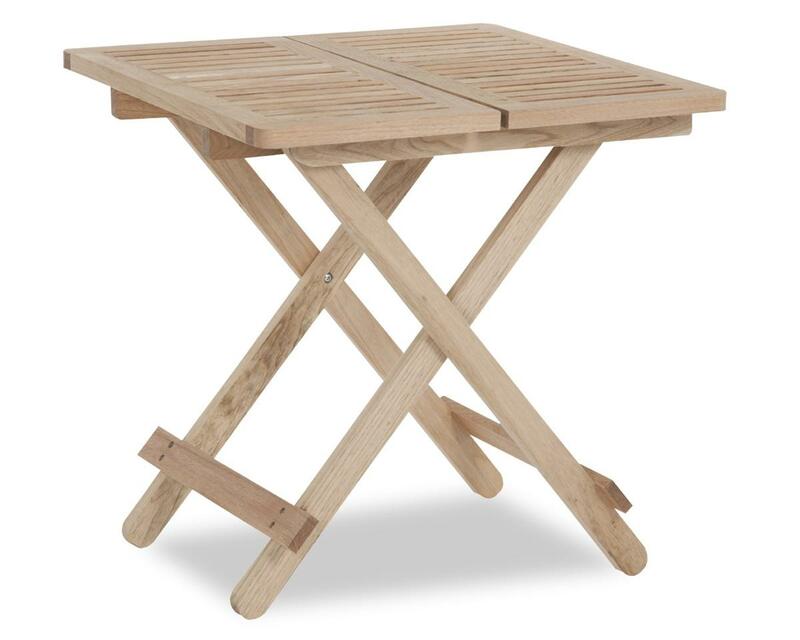 If the table rattles, is not sturdy on its legs, or the table does not move up and down smoothly (in case of electric or hydraulic tables), do not buy it. Before making your purchase, always compare models, read reviews of different brands, and do your homework well. 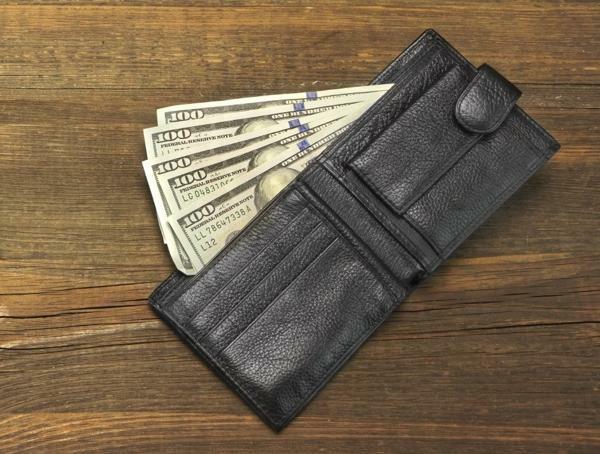 If you still find it hard to make your decision, then plan a budget, list out your needs, and choose a table that fits in your said budget.